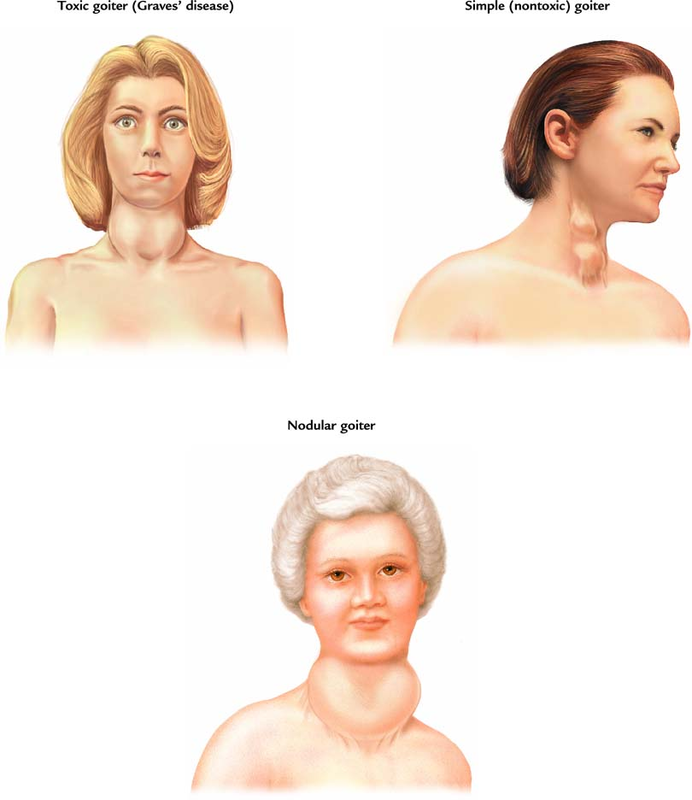 A simple goiter can occur without a known reason. It can occur when the thyroid gland is not able to make enough thyroid hormone to meet the body’s needs. This can be due to a lack of iodine in a person’s diet. To make up for the shortage of thyroid hormone, the thyroid gland grows larger. Toxic nodular goiter is an enlarged thyroid gland that has one small, rounded growth (uninodular goiter) or many growths (multinodular goiter). The goiter is toxic if one or more of these nodules produce too much thyroid hormone (hyperthyroidism or overactive thyroid). Non-toxic (does not make too much thyroid hormone). It is not known what causes multinodular goiters in most cases, but iodine deficiency and certain genetic factors have been shown to lead to multinodular goiters. 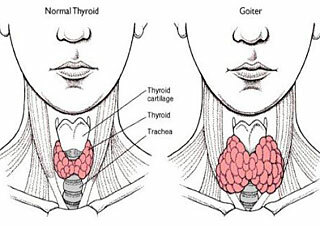 Simple goiters may occur in people who do not get enough iodine in their diet. The use of iodized salt in many food products in the United States usually prevents a lack of iodine in the diet. 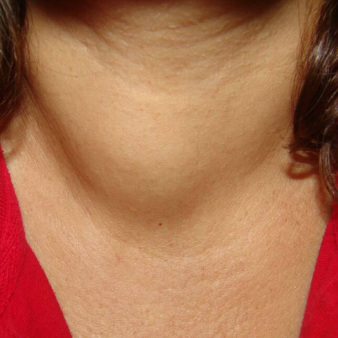 Some people with a simple goiter may have symptoms of an underactive thyroid gland (hypothyroidism).